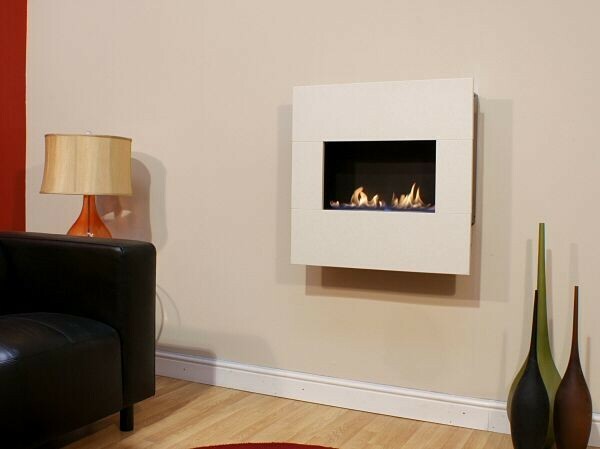 The LITEN flueless gas fire has a smaller fascia trim and is available as either a wall hung version or traditional version using a surround and hearth. 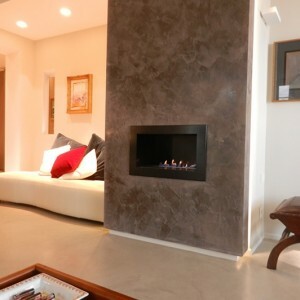 The internal finish can be black or polished and there are a wide range of natural stone finishes available. For installations where a traditional surround is required we have a wide range of standard designs or can make to customer drawing. 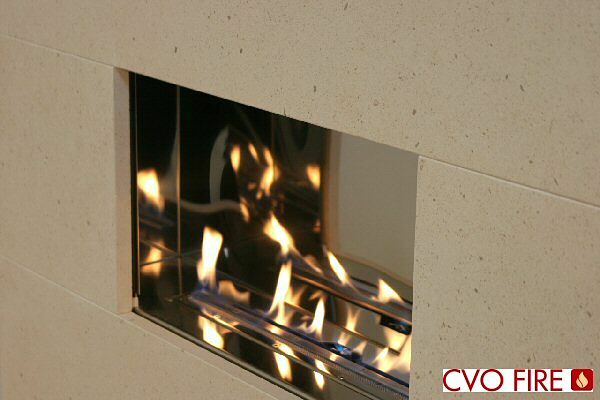 No chimney, 100% efficient, running costs from 12p/hour and up to 3.5Kw of heat output. 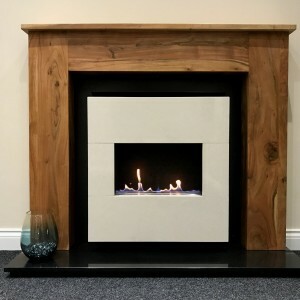 The LITEN flueless gas fire has a smaller fascia trim and is available as either a wall hung version or traditional version using a surround and hearth. The internal finish can be black or polished and there are a wide range of natural stone finishes available. For installations where a traditional surround is required we have a wide range of standard designs or can make to customer drawing. No chimney, 100% efficient, flueless burner technology, running costs from 12p/hour and up to 3.5Kw of heat output. The LITEN flueless fire is ideal for smaller rooms requiring a wall mounted fireplace to increase floor space. 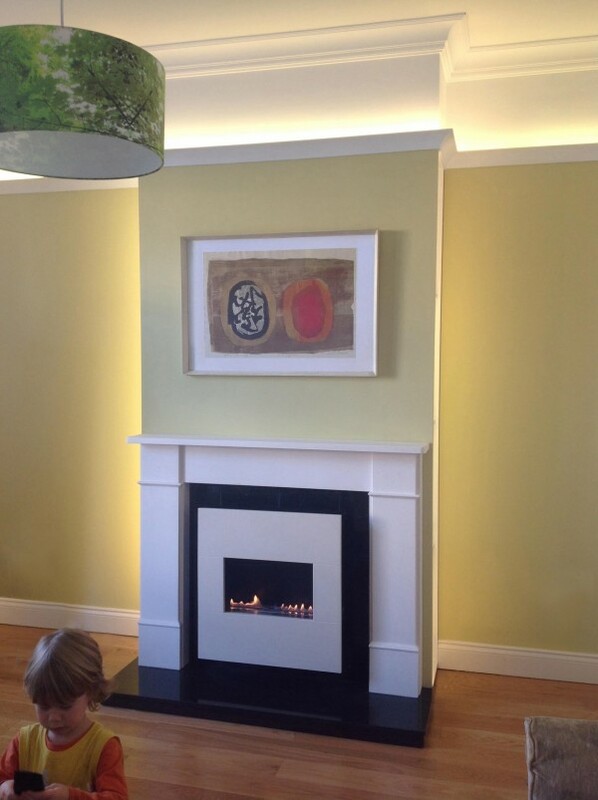 The flueless fire is designed to be wall mounted however if the fire is being purchased to be fitted into any existing fireplace opening this must be done exactly as stated in the installation manual. 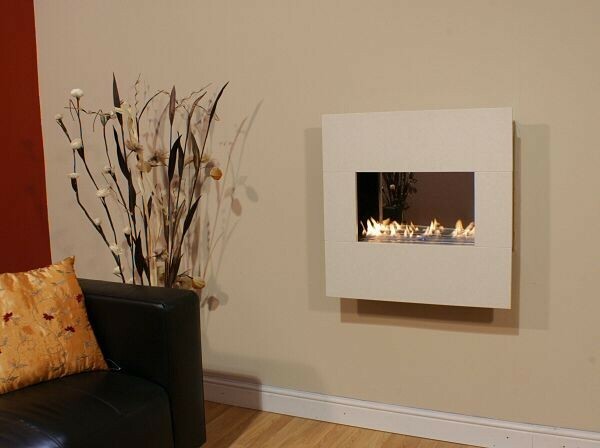 If you are in doubt about how to recess this flueless fire please call sales on 01325-301020. Fascia: Choice of Fascia in Limestone, Black Granite or Madre Perle. Interior: Choice of Black or Brushed Steel. Deflector Gather: The gather must be ordered with the flueless fire and is required if a shelf is to be put above the fire. The size of the shelf is specified in the install booklet. 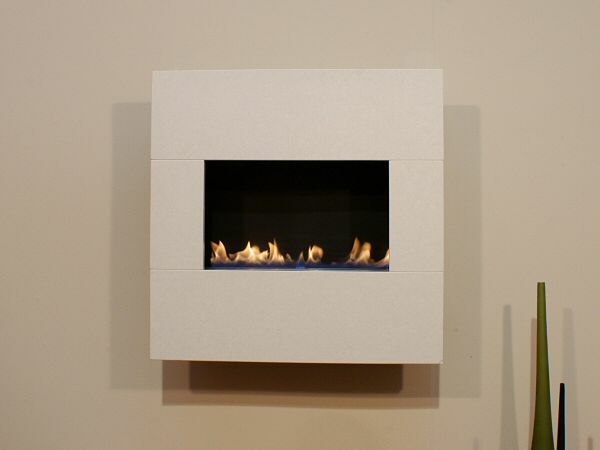 Fireplace Surrounds: There are a wide range of standard designs available in various finishes, wood or stone and we are also able to manufacture custom surrounds to customer drawing. Ask for details. 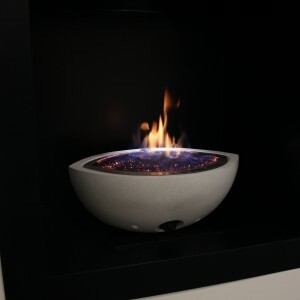 Air Vent: The air vent is shown with a 30% discount when purchased with the flueless fire (RRP £45.71), if sold separately the RRP will be applied plus a shipping charge. It is advised to buy the air vent with the fire as this will ensure a correct installation. Took out an old inset, blocked chimney and used this in existing surround. Open flame and loads of heat.